A Wall Mirror will enhance the look and feel of any room in your house. Available in a limitless variety of shapes, styles and sizes; wall mirrors give an instant polish to your home’s decor at a relatively low cost. They illuminate dark corners, add elegance, and create drama in a space. Wall Mirrors, when framed properly, can stand on their own as works of art, and are available in styles from contemporary to traditional. They catch your eye and make any room more interesting. • The Framer will bring sample frames and supplies to your home or business, and walk you step by step through the design process, to your final design. You’ll learn about styles, mirror frames and hanging systems and then choose the design that’s perfect for you and living (or working) space. • Already have a mirror in your home? We can add a frame to an existing mirror, on site, in your home or business. • Bevel and straight cut mirrors in all custom shapes and sizes are available. 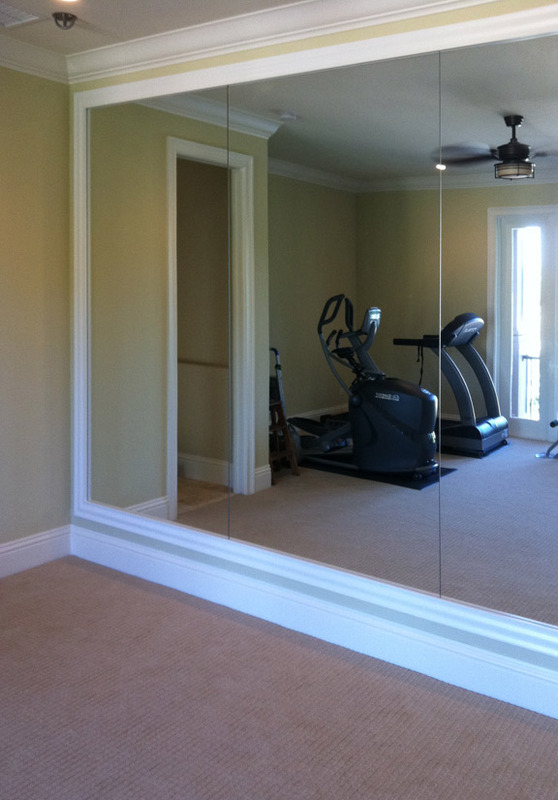 • We deliver the finished wall mirror to your home or business. Visit our Framing Ideas Mirror Gallery to see the wide range of wall mirror projects. We’ll help you design and create the perfect custom decorative mirrors in the size and shape that is right for your room. Ask a question or check out our reputation. We're on Angies List and FaceBook. ALREADY KNOW WHAT YOU WANT? Your personal consultant, Kris Dorton, will help pull everything together, and you'll be able to visualize your finished piece, before you buy. NOT SURE WHAT YOU WANT? Kris will guide you step by step through the selection of proper mat, frame and glass. Our goal is to create a finished piece that looks just right in your home or office, or makes the perfect gift. • Serving Manatee and Sarasota Counties for over 25 years in the same location.